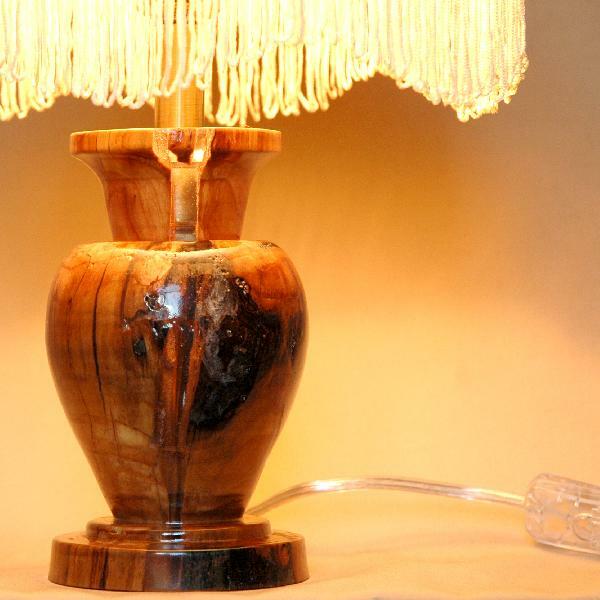 Handmade original table lamp of natural wood. The base is carved from the trunk of a golden brown apple tree with layers of transparent resin. The soft beige lampshade is made of cloth and lace. A great decoration for a room in rustic style, a cozy bedroom or a living room. The resin insertions glow in the dark. A great gift. One-off offer.